I love pool noodles, they’re very inexpensive and they can be used for many things. These pool noodles with contoured edges are just what I have been looking for to create a dramatic play garden! The edges of these pool noodles are contoured, when cut they look like flowers! 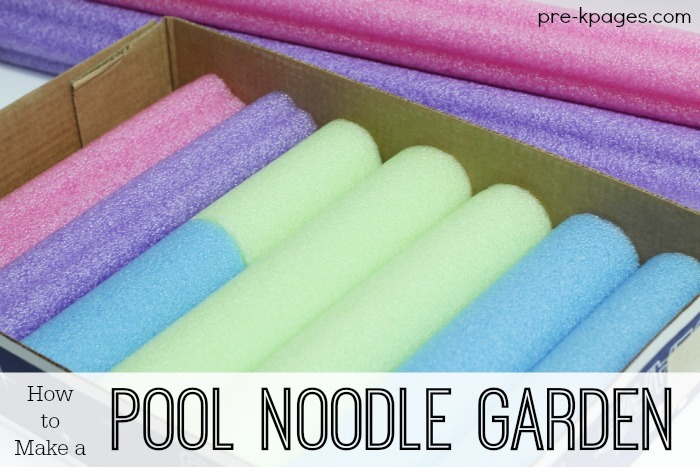 Here are the materials you will need to make your own pool noodle garden below. First, find the lid of a copy paper box. Next, use the packing tape to attach the picket fence bulletin board border around the outside edges of the box. Then, measure the dimensions of the box. Now, measure your pool noodles and use the bread knife to cut them to fit inside the box. Next, you’re ready to glue the pool noodles in the bottom of the box. After the pool noodles have been glued to the bottom of the box, lay the brown fabric over the top and tuck it in on the sides and in between the noodles. These flowers are super easy to make too! Just use your bread knife to slice off pieces of the pool noodle. Then, use your sharp knife to cut a slit in the bottom of each flower- the same size as a craft stick. 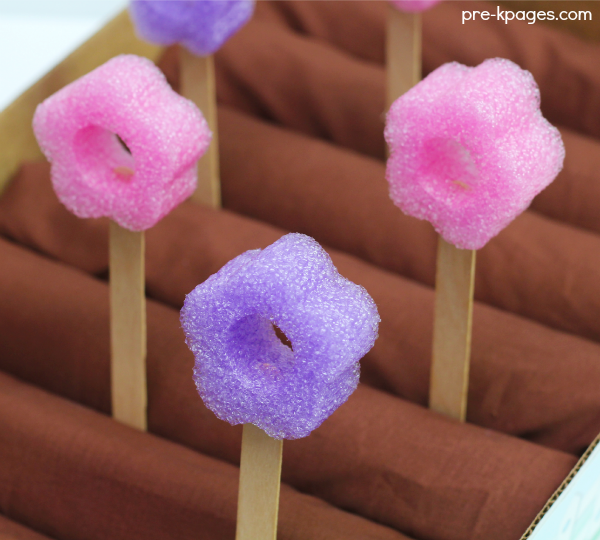 Next, insert a craft stick into the bottom of each “flower” and then “plant” in your garden! Since we’re already using the garden for flowers I thought it might be fun to use it as a vegetable garden too! Some of the plush veggies pictured above are from IKEA and others are from Etsy. Attach some signs to craft sticks to label your garden. Oh, and I also added a “No Rabbits” sign because it reminds me of the book The Tale of Peter Rabbit and Mr. MacGregor’s garden. 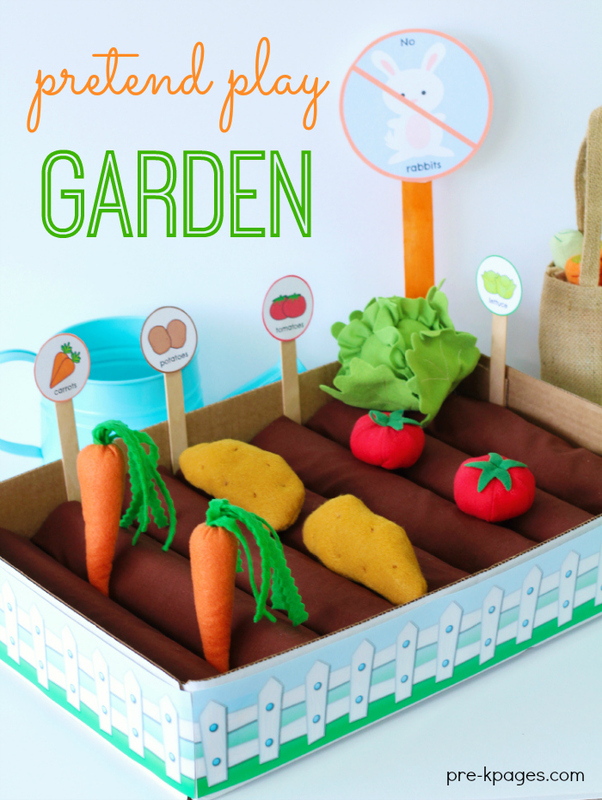 The garden would be perfect for your dramatic play center to accompany a spring or a farm theme to learn about where food comes from and how it grows. I made the printable props pictured here and many others to go along with the pool noodle garden; you can check them all out HERE. This is so cute, I love it! Thanks for posting. Hello from Link & Learn. This is too cute! 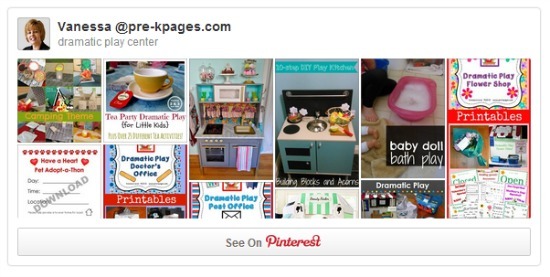 I love pretend play. 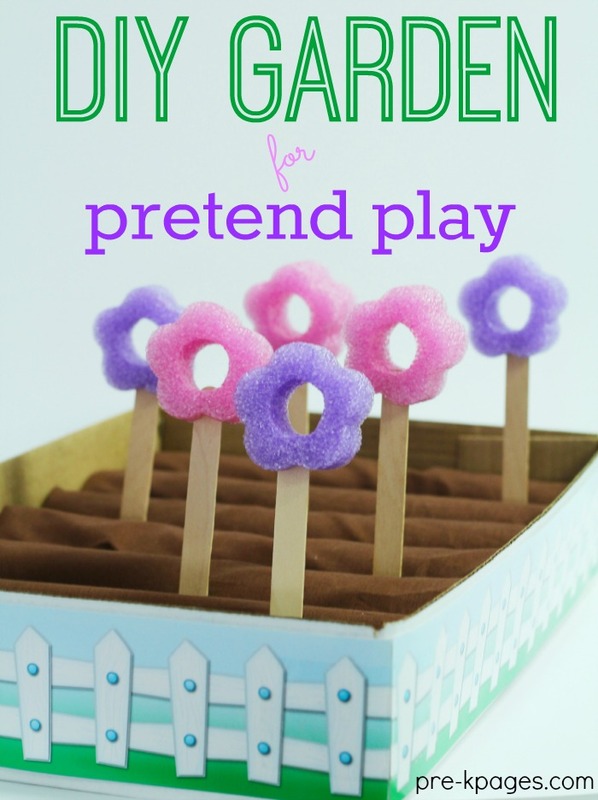 I will be featuring your pretend play garden post tomorrow at the Thoughtful Spot! Okay, definitely feeling like I hit the jackpot today with all the great ideas on Share it Saturday. This is so cute and fun, and perfect for the season! My daughter is way into flowers lately, too, so this is perfect! This looks like so much fun! My kids would have a ton of fun with this garden!